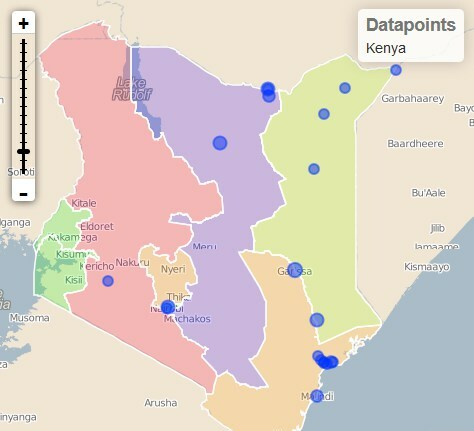 The Sentinel Project has expanded its research focus from solely the Tana River Delta region of Kenya to the entirety of Kenya in order to more accurately depict and assess the complex ethnic, economic and political conditions within the nation. This report identifies four geographic areas within Kenya as zones in which significant inter-communal fighting has taken place, the Tana Delta; Trans Mara District; Marsabit County; and the Wajir and Mandera regions. These conflicts take the form of ethnic rivalries but are more often rooted in disputes over land, resources and political representation (or the lack thereof). In addition, Nairobi in particular presents unique challenges in guarding against extremist attacks from Somali-based Islamist groups such as al-Shabaab. The city of Nairobi has been the site of an increasing number of terrorist attacks connected to the al-Shabaab organization based in Somalia. The basis for these attacks emanate from Kenya’s incursion into Somalia during Operation Linda Nchi. These attacks represent a different form of violence than is taking place in other parts of the country, however they have a destabilizing effect for the government and citizenry of Kenya nonetheless. As a result of this ongoing violence, Nairobi, as well as the other areas where inter-communal fighting occurs, require adequate and continued security to protect Kenyan citizens. In September 2012 the hostilities between the Pokomo and Orma communities resulted in open fighting in the Tana Delta; leaving nearly 200 dead and 33,000 individuals displaced from their homes. Since then, the government has increased security forces in the region. An increased military and security presence has largely curbed the ethnic violence between these two communities, but tensions remain high in the region. A curfew imposed on the area was only lifted this month, the results of which cannot be assessed at such an early stage. Inter-communal fighting has been on the rise in the Trans Mara District due to ongoing disputes over resources. These disputes frequently result in a string of revenge attacks and intimidation, which risk creating a cycle of conflict that will continue unless efforts are made to put an end to this violence. The Trans Mara region would greatly benefit in increased security, as was implemented in the Tana Delta after the clashes in September 2012, however it remains to be seen whether such actions will be taken on the same scale. Tracing its roots back to disputes over lands and resources, the predominant communities of the Borana and Gabra in Marsabit County have been engaged in escalating violence over recent political and settlement conflicts. The Gabra claimed the majority of seats in regional government after the March 2013 elections, which has resulted in the Borana feeling as though they had a lack of political representation. In addition, recent allegations claim that the local government is suppressing efforts to investigate recent clashes in Moyale. Ongoing inter-communal violence has been spreading in the northern counties of Wajir and Mandera over border disputes, ethnic divisions and resource competition. As seen in other regions, violence is often followed by retaliation which then threatens to perpetuate the conflict. The unstable conditions and threat of violence in Wajir and Mandera are further complicated by the volatile regional conflicts occurring in the bordering regions of Ethiopia and Somalia. Mandera is Kenya’s most northeastern settlement and is situated only a few hundred meters from both the Ethiopia’s southern border and Somalia’s southwest frontier. A larger security presence in regions undergoing inter-communal fighting has shown to be a stabilizing force and should be implemented to the fullest extent where and when available. This does not address the root causes of the fighting, however it has the potential to break the cycle of violence and create an environment amenable to conflict resolution efforts. In order for conflict resolution initiatives to be effective and lasting within these aforementioned regions of Kenya, it is important that they stem from and are supported by the communities where the conflicts are occurring. Coupled with the security measures put in place to mitigate the violence, conflict resolution initiatives offer a promising option to end the fighting. However, such initiatives are not without difficulties as demonstrated in late June when peace representatives were ambushed near Burmayo in Wajir County. The highlighted regions in this report remain volatile and prone to rapid changes. Security and conflict resolution initiatives have provided a degree of stability but several key factors continue to present serious obstacles to ongoing peace. Following inter-communal violence, one of the largest obstacles to achieving peace in regions remains the ability for the communities to move past their rivalries and trust one another. In the case of severe violence involving multiple fatalities, tensions are high and pose the most significant obstacle to conflict resolution. The close proximity of these communities and frequent interactions often mean that tensions are renewed on a daily basis. The primary source of conflict in the highlighted regions remains unresolved land and resource issues, with ethnic or community rivalries acting as the vehicle by which the conflict is perpetrated. Kenya continues to struggle with resource development, however efforts are being initiated to deal with resource shortages, such as the large underground aquifer recently discovered in Turkana County. Conflict over land use continues in large part due to the common difficulties encountered between pastoralists and agriculturally-based communities. Local and regional governments have made efforts to address these land issues, however allegations of preferential treatments by the government have occurred, which amplifies these issues. The recent Westgate Mall siege highlights the highly destabilizing role of foreign terror groups in the region. While these events differ from the inter-communal violence in the aforementioned areas of Kenya, they are important to include in any assessment of the region overall. The scale and brutality of the attacks illustrate that, though they are not necessarily part of a larger genocidal effort, terrorist groups’ intent on making political statements through violence must be considered as key actors in the region, and subsequently addressed in any future peace initiatives.